I very much loved the book “Meadowland - The Private Life Of An English Field” by John Lewis-Stempel, and wrote a review of it here. I am very keen to promote this kind of book. The more people who read nature writing of that kind of quality, the better, in my view. But John also seems such an interesting man (author, historian, farmer, naturalist, forager), that I also could not resist the opportunity to ask John a few questions, and he kindly agreed to answer them. And so here are the questions and answers about creating a meadow, our connection with nature, writing and more. 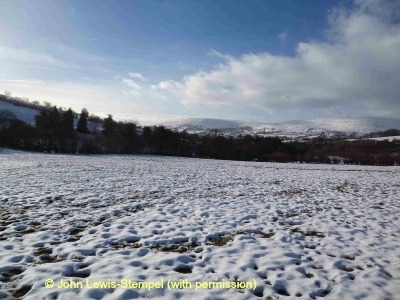 He has shared some lovely photographs of his field, its views and animals too. 1. Due to the concern about loss of wildflowers and pollinators, I am sometimes asked about the best way to turn a grassy field into a meadow. According to the strict 'Old English' definition of ‘meadow', we are not talking about a real meadow as such, but a wildflower field; nevertheless, do you have any practical advice based on your experience and knowledge that you could give to my readers? How to turn a grassy field into a meadow? Ha! There is no magic bullet, but what I tend to do is use suitable wildflower ‘plugs’ in several small areas around a field, and hope for a ‘blotting paper’ effect. (By ‘suitable’ I mean flower species found in the locality). Plant where ground is churned or bare, moleheaps being ideal. Protect from stock if necessary. 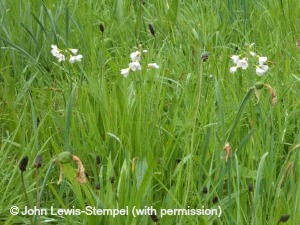 For wildflowers to thrive, you generally have to reduce soil fertility and control the more rampant grasses. Consequently, when the grass is cut it needs to be removed. The other thing I do is to sow patches of yellow-rattle, which is semi-parasitical on grass and will give other flowers the chance to thrive and shine. After you have planted/sown wildflowers, or indeed if you want to make the best of the flowers already in the field, cut the grass summer or autumn, depending on what sort of wildflowers you have or want. Then send in the horses, cows or sheep. If you don’t have beasts of the field, impersonate them with heavy boots and a strimmer. 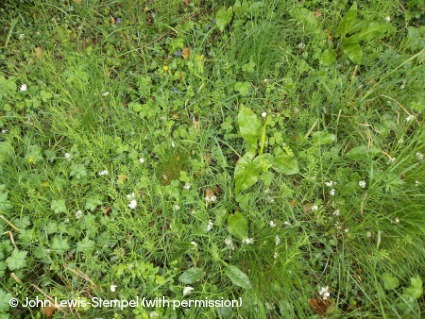 Fallen seeds need to be pressed into the ground (the boots), and ‘differential’ grazing –as one gets from the different eating methods of horse/cow/sheep - creates marginally different sward heights (the strimmer). 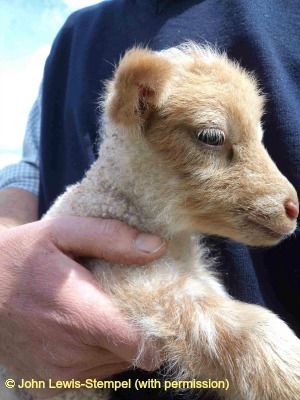 If one is impersonating livestock, one is stuck with strimming/mowing two or three times over the Autumn and Winter. I don’t roll hay meadows, or apply farmyard manure. Chemicals and fertilizers are of course no nos. 2. What made you quote from so many writers of yesteryear (and from various genres, and not only nature writers), rather than more current authors? It is almost as though you demonstrate how nature (and observations of it) touched many areas of life and society in the past. Is there a sense that previous generations of writers displayed a greater connection with nature than writers of today, and that this reflects a wider societal trend? Alas, I think we are all becoming more and more disconnected from nature, farmers included. Modern farming is massively mediated by technology. 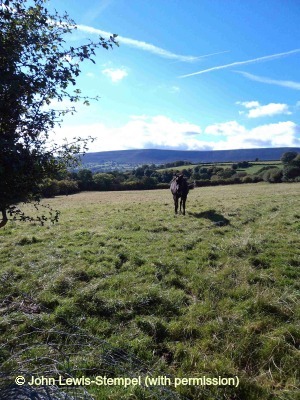 For example, when my grandfather wanted to see whether the sward was ready for cattle in the Spring, he would have gone out with a wooden ruler to measure the grass, stuck his fingers in the ground, and generally done a hands-on, eye-focussed assessment. These days one walks along with a special stick which is pronged in the ground in several places. This produces a computer reading telling one exactly how much grass, to about the nearest kilo, is available for cows to munch. This is clearly useful…but something is lost, as well as gained with technology. So many nature writers of yore quoted? True! I strongly object to the sneering sorts who say that writing and reading about nature is a modern, metropolitan, middle-class habit. It is not. Appreciating nature is`ancient and universal. Ask St Francis of Assisi. 3. I am very keen that children be inspired to love bees, and nature generally. My love of wildlife began when I was very young, and this was encouraged by my parents and school. How do you inspire your children today, in an age of so many competing distractions: mobile phones, computer games, pop culture etc? Is there anything missing from education that needs to be addressed or 'put back'? Have you ever noticed how politicians are keen on telling schools what to teach? I think, we should begin with educating the politicians. Instead of the Cabinet travelling to big cities to show how in touch with regions they are, I would have Cabinet –indeed, the whole Parliament- meet in a beautiful hay meadow in May. Then they might begin to understand better the beauty and importance of nature, the countryside, its plants and animals. 4. You refer to a particular book: “Wild Lone: The Story of a Pytchley Fox by BB”, and how this book inspired you with ‘spiritual respect’ for nature, as opposed to ‘simple admiration’ or ‘sentimental regard’. I’m curious to know how you define ‘spiritual respect’ versus the other two, and how do/can we learn to develop it? By ‘spiritual respect’ I mean the sense of communion and belonging that comes from being in tune with nature, which in turn leads to the appreciation of the Universe as a self-aware system. I tend to find it arises ‘naturally’ from being outdoors, and being able to see stars at night. 5. I am intrigued by the mention of ‘Merlin’s Hill’ close to your farm (also featured in a map at the back of the book). Any historical significance? Yes, according to legend the wizard is buried on the hill. 6. Can you tell us anything about your next writing project? Another book inspired by nature perhaps? Absolutely the next book is inspired by nature, and probably more to the point it is about how nature inspired soldiers in World War I to survive the conditions of the trenches. How they planted wildflowers to brighten the mud, made friends with stray dogs, and listened to bird song…It is called ‘Where Poppies Blow’ and will be published in 2016. I look forward to reading the next book, John! Lady's Slipper in Sward in April. Zeb the pony, in the meadow. Aerial view of the sward in April. 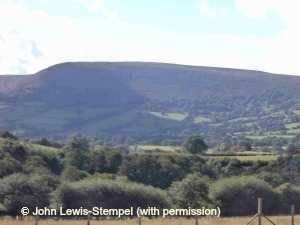 View from meadow towards black mountains. Go to my review of Meadowland. Meadowland is available with free delivery worldwide from The Book Depository.